A specialized practice in clinical neuropsychology for the evidence-based assessment and treatment of children and adults with neurocognitive deficits that affect academic or occupational performance, as well as social, emotional and behavioral functioning. Dr. Boxer is a licensed clinical neuropsychologist based in Los Angeles. He is a specialist in neuropsychological assessment to evaluate intelligence, learning and recall, attention skills, perception, motor skills, processing speed, problem solving, and coping skills and styles. Dr. Boxer’s practice utilizes an “evidence-based” assessment and treatment approach that employs the best scientific evidence to facilitate recommendations for patient care. This scientifically-based neuropsychological approach provides each client with a customized comprehensive evaluation grounded in research with the goal of uncovering neurocognitive challenges associated with school, work or social environments, as well as empirically supported treatment options. Dr. Boxer is available as a consultant and as a speaker. He is the author of several publications and leads ongoing research studies in the field of neuropsychology. He has presented at numerous schools, universities, international symposia, support group meetings, and national conferences in neuropsychology. He has served as an expert witness in California. Dr. Boxer is currently in private practice in two locations in the Greater Los Angeles area. Appointments can be made at his West Los Angeles or Pasadena offices. For additional information regarding services and scheduling, please call (626) 765-4482 or email admin@orenboxerphd.com. Dr. Oren Boxer received a master's degree in psychology from the University of Chicago before completing his Ph.D. in clinical psychology at the California School of Professional Psychology (APA Approved) in 2009. He completed an APA-approved clinical internship in clinical neuropsychology at the UCLA Department of Psychiatry and Biobehavioral Sciences. He remained at UCLA for his postdoctoral studies in pediatric neuropsychology. Dr. Boxer is a licensed psychologist in the state of California (PSY 24357). In addition to seeing clients in his private practice, Dr. Boxer also serves as a clinical faculty member at the UCLA Semel Institute for Neuroscience and Human Behavior within the David Geffen School of Medicine. His clinical and research work has focused on child/adolescent neuropsychological assessment, diagnosis, and treatment planning, as well as research encompassing evidence based therapies for Attention Deficit Hyperactivity Disorder (AD/HD). Dr. Boxer has also published work on evidence based medicine in neuropsychology. Dr. Krista Greenfield received her Bachelor's degree from the University of Pennsylvania before completing her Psy.D. in clinical psychology at The Chicago School of Professional Psychology. Dr. Greenfield is a licensed psychologist in the state of California (PSY 29371). Her clinical work has focused on neuropsychological assessment throughout the lifespan, including year-long clinical placements at Kaiser Permanente's Pediatrics Department and University of California (Irvine) Medical School's Department of Psychiatry and Human Behavior. Dr. Greenfield has presented at local and international conferences on topics such as the lasting neurocognitive effects of oncology treatment and executive functioning differences in children with neurodevelopment disorders. She has also published work on the psychosocial impact of traumatic brain injury. Dr. Kaleb R. Jensen is a pediatric neuropsychology fellow and specializes in the assessment and treatment of children and young adults with neurodevelopmental and/or mood disorders. As Director of Training, he also heads Insight Collective’s Clerkship Program, which exposes select graduate students and postdoctoral fellows to clinical pediatric neuropsychology through didactics, research, and assessment experience. Dr. Jensen received his Bachelor’s degree in English Writing and Psychology from the University of Colorado – Denver before moving to Los Angeles in 2012. He completed his Doctorate in Psychology at Azusa Pacific University’s APA-accredited Clinical Psychology: Family Psychology program. Dr. Jensen has been with Insight Collective since 2016. He completed a year-long APA-accredited predoctoral internship at the Institute for Multicultural Counseling and Education Services (IMCES) in Los Angeles, California. He also trained for 2-years at the Loma Linda University Behavioral Medicine Center, where he worked with children and adolescents in inpatient, partial hospitalization, and intensive outpatient programs. Dr. Jensen’s passion and expertise focalize around advocating for children and families from diverse backgrounds through evidence-based assessment and intervention. INSIGHT COLLECTIVE We are proud members of this Pasadena-based, interdisciplinary group of allied professionals providing neuropsychological testing, psychotherapy, speech and language services, and tutoring, educational therapy, test prep, and executive functioning skill building. Please contact us at our Pasadena office: 595 E. Colorado Blvd., Mezzanine Suite, Pasadena CA 91101. For more information, visit the Insight Collective website. Our eastside offices are located in the mezzanine of the 595 Colorado Building, at the corner of Colorado and Madison in Pasadena. The building dates from 1928 and is a beautiful architectural example with many turn-of-the-century details. It has been designated a Historical Landmark. 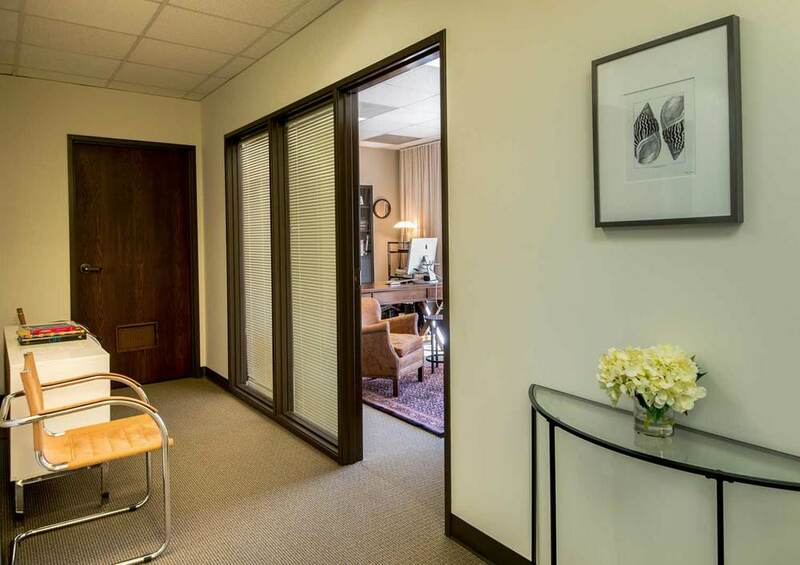 Our westside offices at 11340 W. Olympic Blvd., Suite 250 are located in the first block west of Sawtelle Blvd. See this page for maps.